Is any profession immune to the influence of artificial intelligence (AI)? 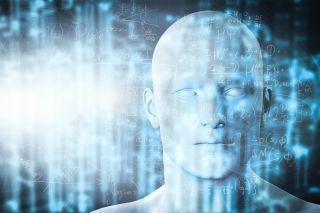 Every day, we’re confronted with reports on the impact that intelligent systems and algorithms will have on low skilled or process driven roles, whether that’s Uber drivers, accountants or legal professionals. But we tend to think that the so-called ‘creative’ professions, such as design and the arts, will always require the human touch. After all, computers can’t be creative - can they? Definitions of creativity have evolved over the centuries and, up until the Renaissance, the power to create was generally considered the preserve of the gods. When Plato is asked in The Republic: "Will we say, of a painter, that he makes something? ", he answers: "Certainly not, he merely imitates." And it wasn’t until the 20th century that creativity became associated with fields outside the arts, and our current definition became accepted. Most now see creativity as the act of exploring and acting on new ideas and thinking; something that is as possible in business, as it is in a studio.